Everyone needs a space to give their interests and obsessions some airtime. Just home again from a great weekend catching up with friends in Narooma. 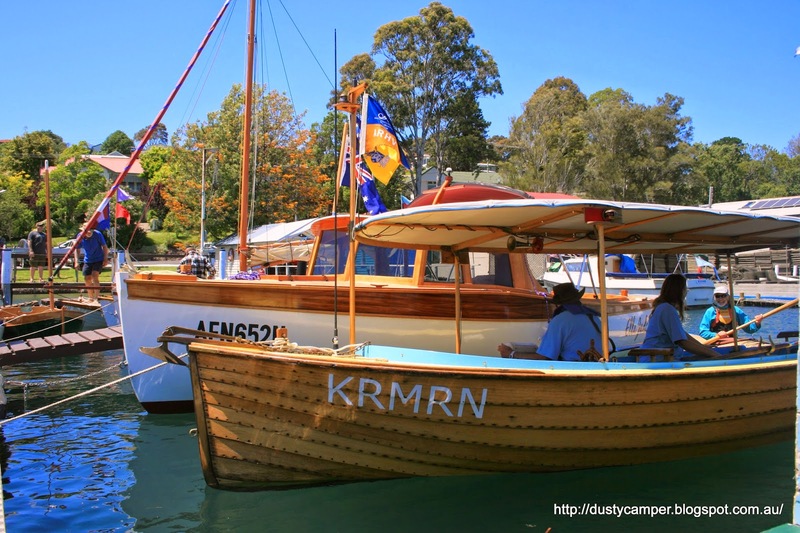 We happened to be in town for the 2014 Narooma Boats Afloat Festival. 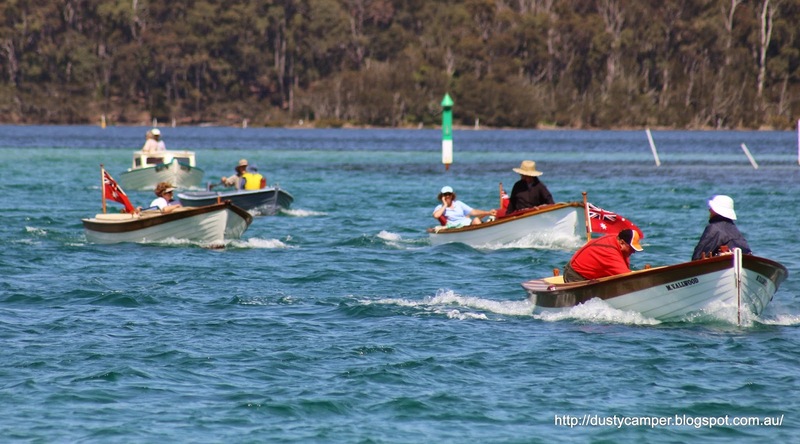 This was the 9th time the featival has been held in Fosters Bay with a flotilla of over 50 boats on show. 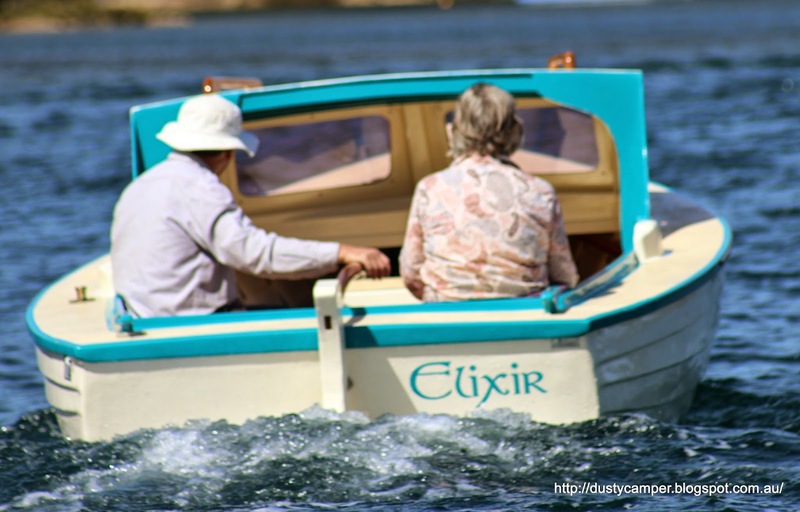 There were wooden boats of all shapes and sizes, clinkers, putt putts, steam boats, electric and sail boats, something for everyone, as well as arts shows in the quaint little boatsheds around the bay. The flotilla arrived for just as the jazz band started playing and we had settled in for the afternoon. Elixir- definately the spice of life! Regularly on Sunday mornings, some of the town’s sharpest minds gather for a cuppa and a spot of trivia. 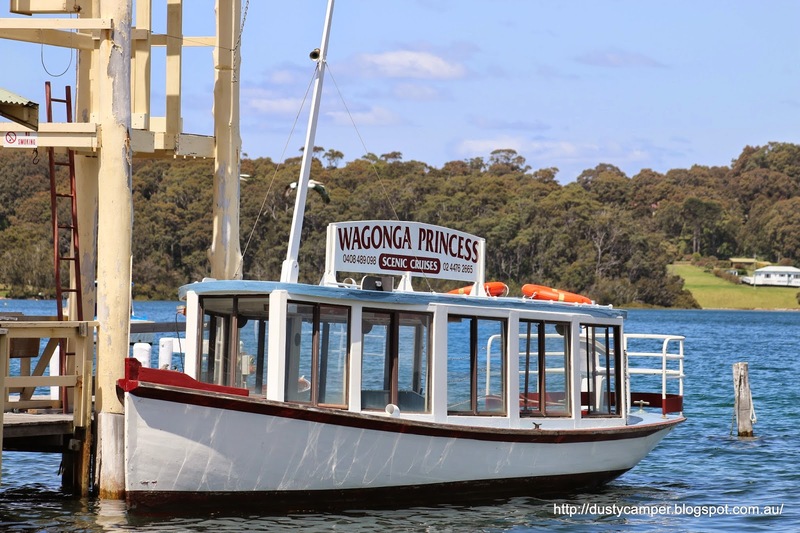 This Sunday, quiz master Charlie, invited us and along with some other boffins for a breakfast cruise on his beautiful “Wagonga Princess”. Contestants boarded from the wharf near the Fishing Club laden with baked treats, Thirsty had his amazing gourmet sandwiches and Pig Slops was not going to part with the recipe for his special chocolate slice, needless to say we all had a jolly time. 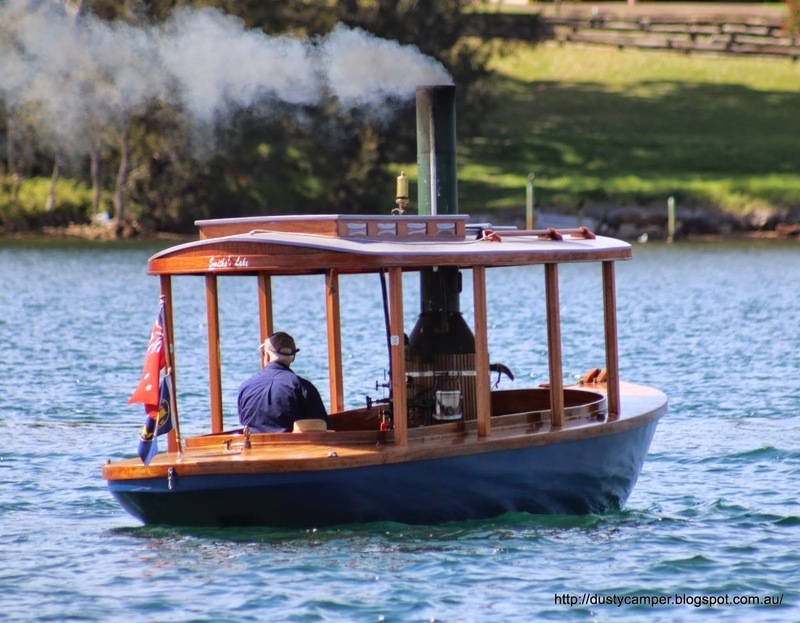 Wagonga Inlet Cruises are a great way to spend a few hour next time you are in Narooma.Check out more photos from the weekend on the photo page. Like it? Then please share. A picture tells a thousand stories! Observing life from the saddle of my bike.